The Beach Clubs at Highlands and Victoria Walker elementary schools, sponsored by First Baptist Highlands on the east side of Houston, Texas, are funded exclusively from volunteers who participate in a volunteer grant program at ExxonMobil. Individual volunteers, who are also ExxonMobil employees or retirees, and can log at least 20 hours are eligible for a $500 grant up to four times each year. The company also has a group program for five or more employees. Several companies offer similar programs for non-profit organizations. 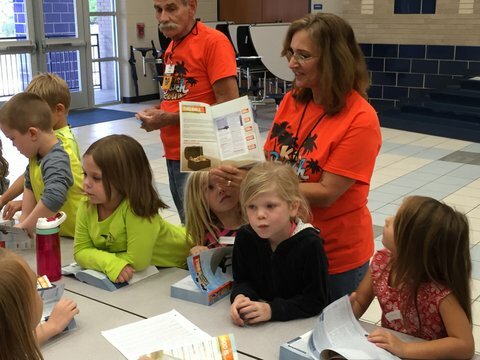 In addition to ExxonMobil, KiDs Beach Club® has been the recipient of volunteer grants from Celanese, Texas Instruments among others. Please note the rules may vary by company. Volunteers are encouraged to check with their employer or former employer, if retired, to see if it has a volunteer grant program that could benefit KiDs Beach Club®.